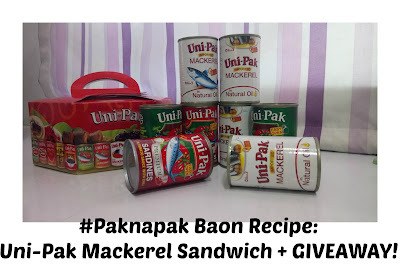 EveryMom'sPage: #Paknapak Baon Recipe: Uni-Pak Mackerel Sandwich + GIVEAWAY! 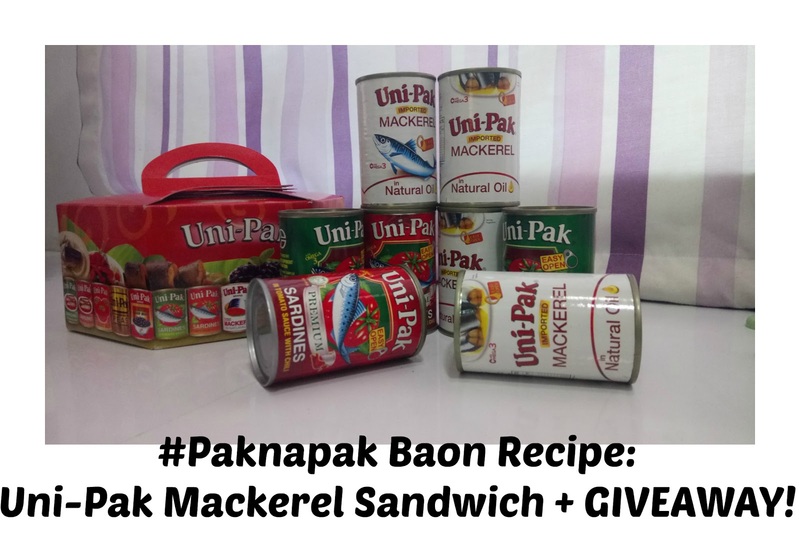 #Paknapak Baon Recipe: Uni-Pak Mackerel Sandwich + GIVEAWAY! Kids sometimes have tendencies to be choosy with foods we serve. They dislike serving the same dish every week. Creating something new for them has always been a challenge for me and my husband. Everyday, we wanted to make sure we serve them something healthy, and kid-friendly dish while staying on a budget. It's quite a challenge, but I am glad we can easily make something fast and easy with Unipak Imported Mackerel. The flagship brand of SLORD Development Corporation products bearing the Uni-Pak brand contain only the finest ingredients. 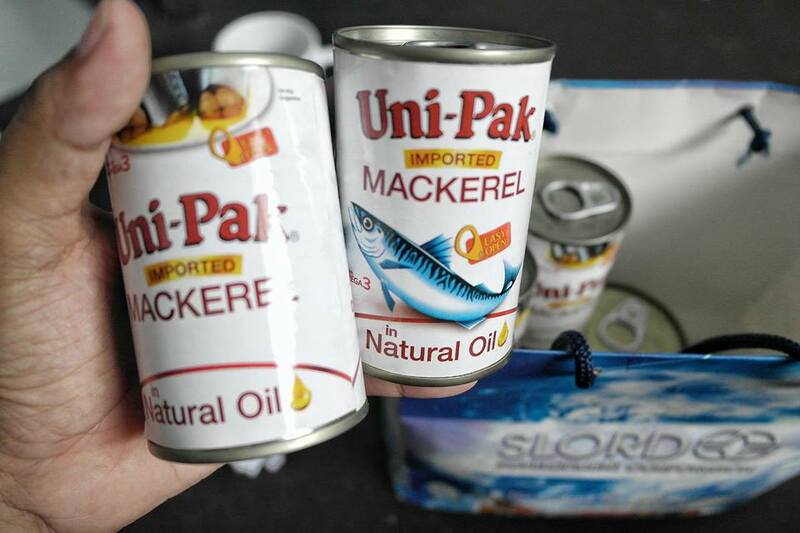 Uni-Pak Mackerel comes in an easy open can. It is rich in Natural oil and contains Omega 3. As we all know, Omega 3 helps lower the risk of heart disease, depression, dementia, and arthritis. Your body can't make them. You have to eat them or take supplements. 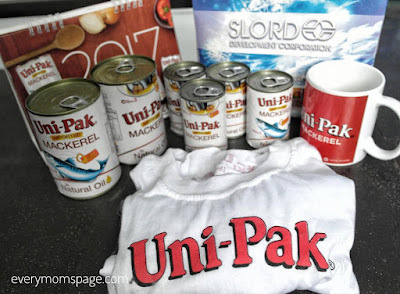 Uni-Pak Mackerel is available in all supermarkets nationwide. Uni-Pak is also exported throughout different markets worldwide. It is ready to eat, or if you wanted something different, you can try to create a new recipe. 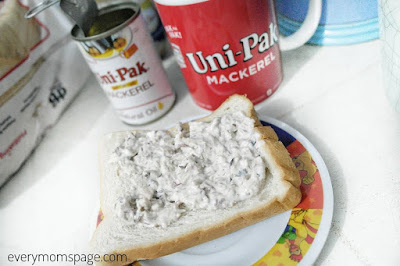 As for my kids who love sandwiches for breakfast, I make them Uni-Pak Mackerel Sandwich. How do I prepare? It's fast and easy! Mix the mackerel, minced onion, mayonnaise, lemon juice, salt, and pepper. Spread the mackerel mixture on 4 white bread. Easy, right? You can try this #tatakunipak Mackerel Sandwich as breakfast, snack, or kids baon. I am sure they will love it, too! Mommies, health is our priority that we make sure to give our family healthy foods. 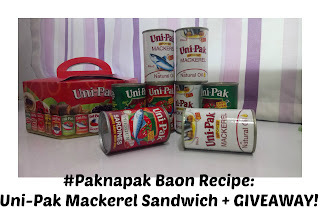 Kaya basta Mackerel dapat tatak Unipak. Only one (1) winner will be chosen. 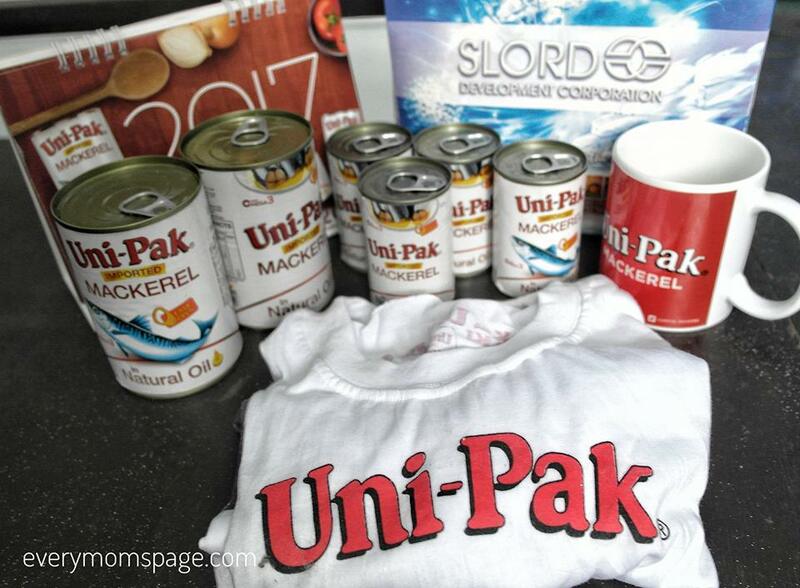 The Uni-Pack gift pack will be shipped by Uni-Pak to the winners home address. Giveaway will run until September 5, 2017. Yay!!! Fave ng hubby ko yang Uni Pak Mackerel. Pa join po!